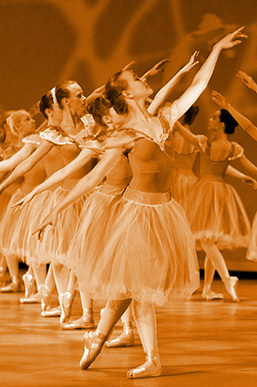 Our teachers are all professional dancers with classical background and a wide experience in this field. They also use the opportunity to improve and master their knowledge and skills participating in international dance-teaching workshops and taking up cources. We cooperate well with the Balletschool of Tallinn: teachers from there (Tiiu Randviir, Ilse Adusson, Viesturs Jansons) have given lessons for the students in Tartu many times; and we collaborate with other balletschools, too. Moreover, well-known guest teachers from Europe and Russia are invited, for example, in our school have teached dancers from Belgium (Rachide Tika), the Netherlands (Anatole Karpuhhin, Antwerp), Denmark (Anna Laerkesen, Copenhagen). Prime dancer of theatre Vanemuine, founder and head of the Vanemuise Dance- and Balletschool, teacher of the first graduate class (2004). The balletdirector of theatre Vanemuine, teacher of contemporary dance, producer-choreographer of various concert numbers for the school, the designer of many school ballets. Teacher of classical and character dance, author of many school ballets. Prime dancer of theatre Vanemuine, teacher of classical and historical dance, teacher of the second, fourth and fifth graduate class (2007, 2013, 2018). Teacher of the preliminary class.